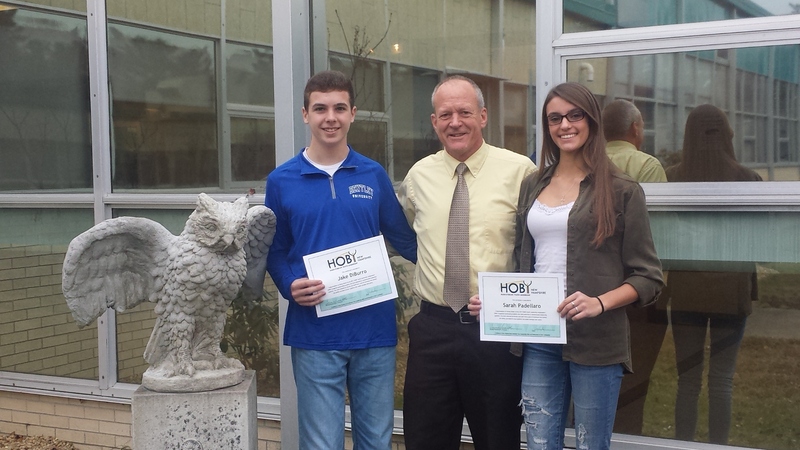 Sophomore students Sarah Padellaro and Jake DiBurro, both residents of Plaistow, have been selected as the 2017 Hugh O’Brian Leadership Representatives for Timberlane. Award winners were nominated by a faculty member, completed an application, and participated in an interview with the selection committee comprised of school counselors and an assistant principal. As the chosen representatives, both Sarah and Jake will have the opportunity to attend HOBY’s flagship program, the State Leadership Seminar in the spring. The seminar is designed to empower high school sophomores to recognize their leadership talents and apply them to become effective, ethical leaders in their home, school, and community. The 2017 NH Leadership Seminar will include hands-on leadership activities, networking with other top performing leaders in the state, and exploration of leadership skills all while learning how to lead others and make a positive impact in the community. Congratulations to both Sarah and Jake!